What’s better than celebrating the Breaking Dawn Part 1 premiere than with a new Pockets video!?! Nuthin’, we say! Enjoy Pocket Edward and co. gettin’ their freakies going! 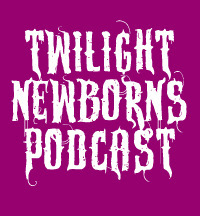 As you know if you listened to episode 35 of the Twilight Newborns podcast, you know things got out of hand with the introduction of our new New Moon Pocket toys. Here are our photos taken live during our recording 1/2/10. Pocket Alice has quite the badunkatrunk, don’tcha think? Check out our photos on flickr.com here. We recently got a Pocket Alice, aka Alice Cullen Action Figure. Thank you, Santa! Here is our first video with our little Cullen party girl from a kickin’ New Year’s Eve soiree. Enjoy! 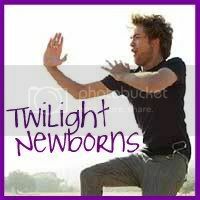 Check out the rest of our videos at our youtube channel, youtube.com/user/twilightnewborns. And HAPPY NEW YEAR!